Frank Shaw was a colorful, early pioneer, rancher and teamster in Mono County and the Eastern Sierra. 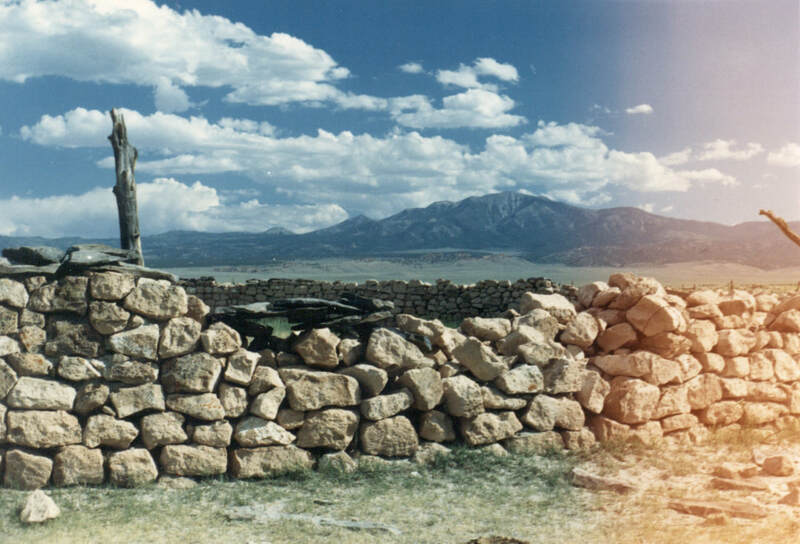 In 1865, he owned a cattle ranch in Adobe Valley which lies to the east of Mono Lake. Bodie, CA and Aurora, NV were adjacent to Adobe Valley where Shaw’s ranch was located. At the ranch, he grew hay, and pastured his cattle on the meadow land. He purchased some good draft horses in Columbia, California, and raised and trained his own draft horses. Acquiring a “Mammoth Jack” he bred some of his mares to produce sturdy, large mules. Reportedly, the jack was mean, so he built a high walled corral to keep him in. 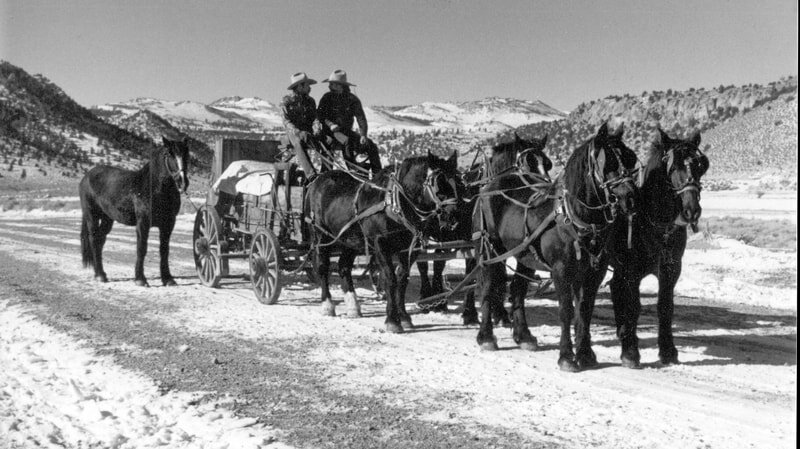 Shaw was in the freighting business, as part of his ranching operations, hauling hay and supplies to Eastern California/western Nevada mining camps and hauling ore out on the return trips. He was considered to be a long line (also called long jerk line) teamster, using as many as 32 mules on a long line team and even hooking 3 freight wagons together. Studebaker Company built “Nevada” wagons for hauling ore, supplies etc. and Shaw may have used some of those wagons as they were popular in this area. Local wagon makers built variations of these wagon. F. M. Smith discovered borax at Teel’s Marsh, near Hawthorne, Nevada in 1872. Adobe Valley is west of the location of Teel’s Marsh and the small mining town of Marietta was nearby. Teel’s Marsh was a playa wetland in 1870 with standing water. Columbus Marsh, near Tonopah, Nevada, was already in production and not a long distance away. Shaw also apparently located borax in Adobe Valley and reportedly freighted some to Bodie. At that time, most borax was imported from Europe and other areas in the world. Entrepreneurs searched for borax minerals in the United States as they recognized the importance of the demand for local sources. As F. Smith developed his borax mining works at Teel’s Marsh, he needed freighters to move the mineral to the markets demanding the product. Bodie was one of those markets as borax was used in gold mining. The Teel’s Marsh borax works became the largest borax operation in the world. Smith mined the product and contracted the hauling to private freighters. 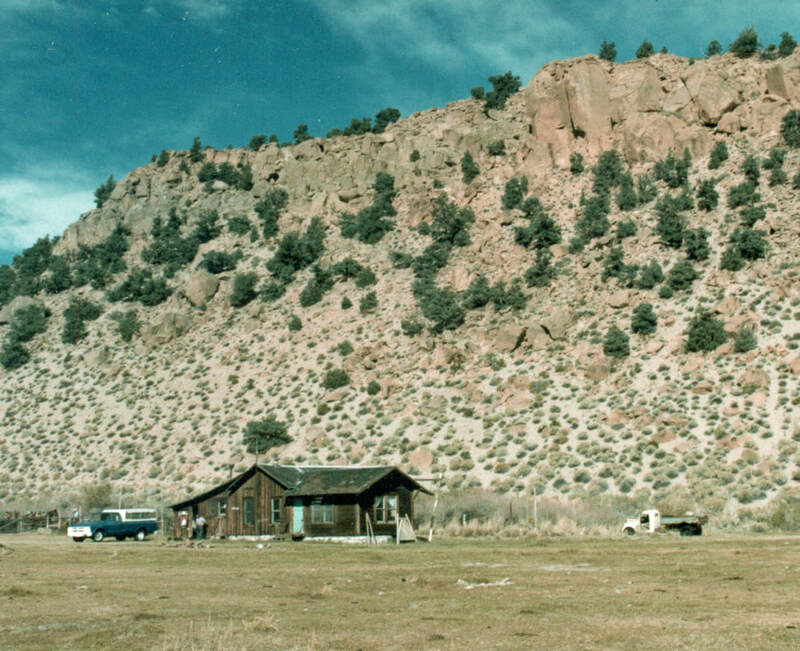 Frank Shaw was soon hauling borax from Teel’s Marsh to Bodie with his long line teams. 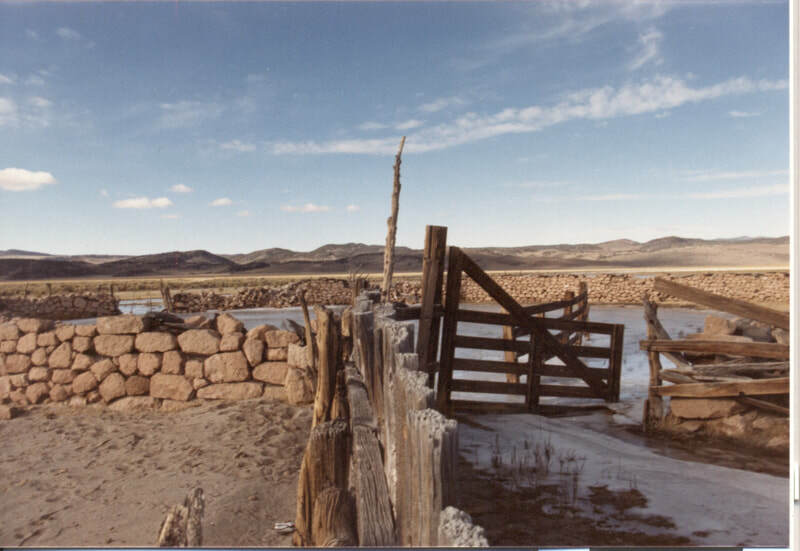 Rhodes Marsh was 9 miles south of Mina, NV near Highway 95 where there were salt pools – maybe 200 acres. Salt was hauled to Aurora, NV beginning in 1862 and borax was then discovered in the 1870s. Its history was similar to Teel’s Marsh with borax production. From 1874 to 1881, one ton a day was produced at Rhodes Marsh. Frank Shaw hauled hay there beginning in the late 1860s from his ranch in Adobe Meadows and quite probably hauled borax back to Aurora and later Bodie.